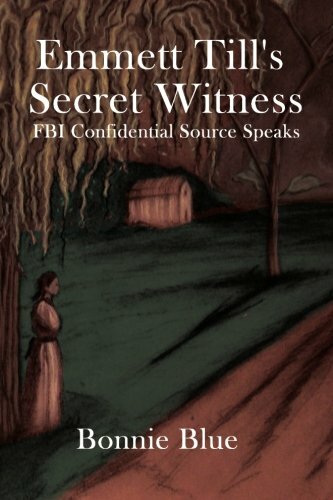 Emmett Till's Secret Witness is a novelization of 36 years of research and writing. The author's raw, untainted and complete research compelled the FBI to request her assistance in their 2004-2007 investigation into the lynching. The novelization of this scholarly work is unlike any other account of the Emmett Till lynching. It represents the most comprehensive, and precise truth at told to her by the leader of the lynch mob, J.W. (John William) Milam. Emmett Till's Secret Witness is molded around the author's sole research and study of African American History prior to this lynching and mechanism of social change. This work takes an in-depth look at the polarized cultures of the United States, in 1955. The Northern states represented a larger degree of acceptance for social change. The Southern states, however, struggled to maintain the norms of the racial segregation and degradation. The author molded the cultures of Northern Blacks, and Northern Whites as well as Southern Black and Southern Whites to give the reader insight into the lives of these different cultures. Emmett Till's Secret Witness, pays meticulous attention to not only the cultural differences and similarities, but also incorporated regional dialects without cluttering the work with little known languages. Two glossaries are included in this book. One is to clarify certain words that re written in southern dialect (Whar –Where), and the other glossary explains certain cultural phrases (Pot likka – the juice created when boiling greens for food. Examples: turnup, mustard, collards and dandelions) Interviews with J.W. Milam, one of the self proclaimed killers, the deputy that took the lead in the investigation at risk to his own life, as well as others that were directly involved in the case, gave the author unique access into the Southern radical White culture, politics and passions as well as mainstream Southern White culture. She also integrated herself into the Southern Black culture. This allowed her to observe firsthand, the faith and pride of a people who artfully navigated living under the remnant of Jim Crow laws; a testament to their inner-strength. This is a well researched and artfully crafted work of literature which will take the reader on an exciting historic journey. By the time the last page is turned, the reader will have a much clearer understanding of the human spirit's hunger to exist as a free entity. The reader will also be privy to the mindset of that group of mankind that feel that they have a right to place a diminished worth on another group of human beings. It is my hope that the reader will come to understand that no matter how finite one can mentally justify such actions; the end result is usually the opposite of what they planned. The majority of the author's life was given to uncover the truth behind this lynching. She continued in spite of fighting her own life threatening illness and raising her family.